If you load Facebook Likebox in preview mode it will appear empty and if previewed in a browser it will appear like the following picture. The solution is to publish the files. Facebook Likebox will not connect to your Facebook page without a fully published version and will not display in preview mode. Facebook Id : Where you put in the Id of the link. 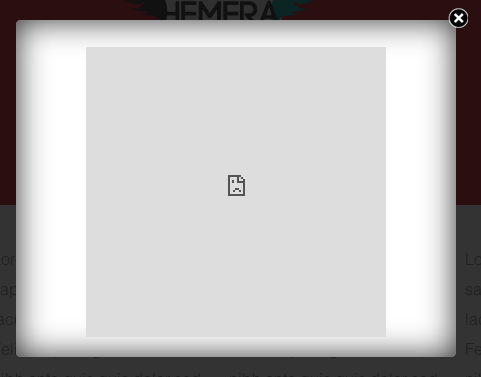 Load everytime: This is the option for the module to popup everytime. If it’s not selected then it will appear once until the cached files are cleared again. 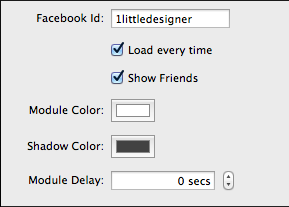 Show Friends: Allow friends of the page to show when the module comes up. Module Color: This selects the background color of the module. Shadow Color: Select the color of the shadows for the module. Module Delay: This will set the delay of the time that the module pops up.